RANCH STYLE HOME FEATURING 3 BEDROOMS AND 2 FULL BATHROOMS NOW AVAILBLE IN SAINT PETERS. LOCATED JUST OFF OF BIRDIE HILLS RD., NICE BIG CORNER LOT AND CUL-DE-SAC. PLENTY OF PARKING SPACE. OPEN FLOOR PLAN WITH A LIVING ROOM/DINING COMBO AREA. BASEMENT IS PART FINISHED WITH SLEEPING AREA. THERE IS A FRONT COVERED PORCH AS WELL AS A COVERED REAR PATIO. COME TAKE A LOOK TODAY! 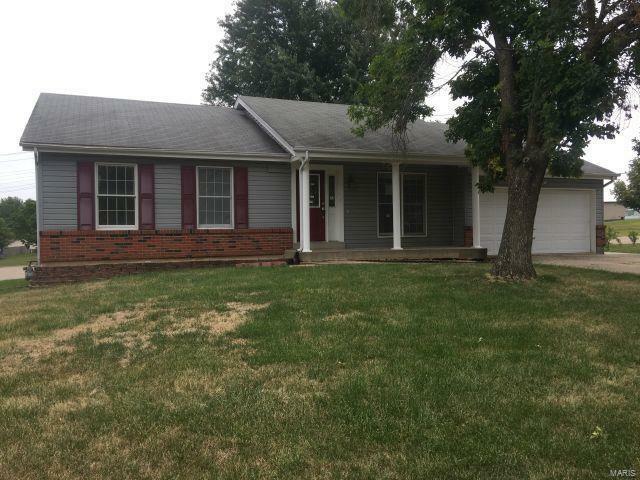 Please refer to HUDHomestore for the most recent bidding Period details and information on this property. HUD Acquired Property. Property being sold 'AS IS'. All utilities are turned OFF. Please, use discretion when showing and bring a flashlight. All bids held for the first 10 days, deadline for this initial bid period is 08/23/17. Bids opened daily thereafter until such time a bid accepted. Bidding open to owner occupants only through 08/28/17 and open to all bidders on 08/29/17. Elementary school: Mid Rivers Elem. I-70 WEST TO LEFT ON SALT LICK WHICH CHANGES INTO BIRDIE HILLS ACROSS MEXICO ROAD. RIGHT ON OAK VALLEY TO LEFT ON AMBER RIDGE CUL-DE-SAC.